I'm an experienced choir leader and singing teacher. 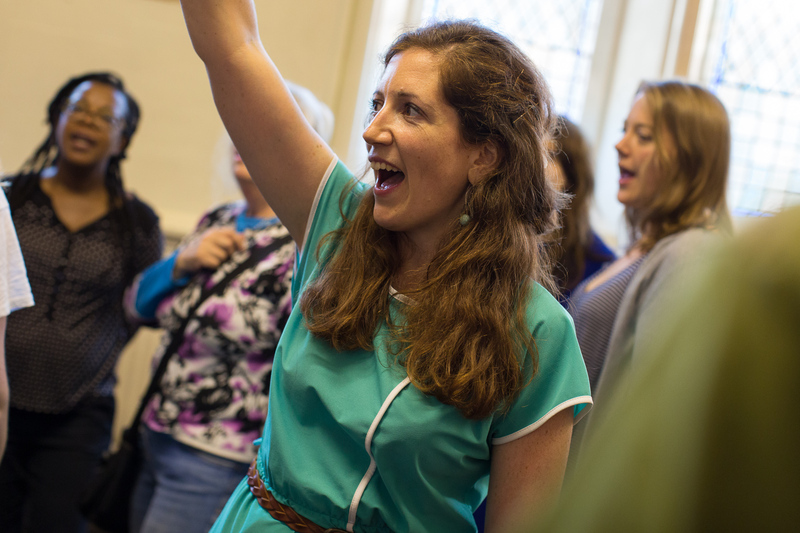 From choirs to workshops and residentials, my warm and inclusive style can help you find your voice and enjoy the power of singing. I believe that everyone can sing, and my choirs are welcoming and accessible to all. For me, singing is about community and togetherness, not technical perfection. Come to one of my fun and inclusive choirs open to all levels of experience and ability. Explore your voice and sing together with other people in your community. I also teach singing workshops and one-to-one lessons. Find out more if you want to work on a specific skill or get really immersed in singing! A national series of events using singing to build community and heal divisions. It's open to all: why not come along to our next event?